[This list is made up of my favorite cities in France, it's purely based on my opinion of places I've been to. That means that places I haven't been to like Bordeaux, Brittany, and Toulouse, aren't in the running. 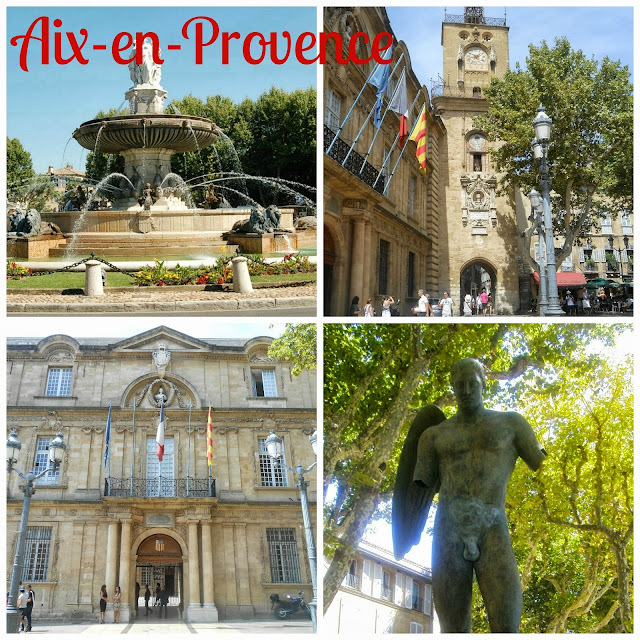 The first time I laid my eyes on Aix, it was love at first sight. Sure it's beautiful, but lots of other cities are beautiful (especially in Provence), and clean, and has lots of gorgeous shops and charming sidewalk cafes, but there is something else, something that I cannot put my finger on, a certain, je ne sais quoi, if you will. Whatever it is, I love it. It is a city I will return to again and again and whether I'm strolling the elegant Cours Mirabeau, winding through the back streets counting all of the fountains I come across, or sipping Rosé in a shaded spot, there is a 100% chance I'm enjoying myself purely because I'm in Aix. There is a certain sultriness to Arles, something about it that feels slightly more Spanish, than French. Maybe it's the heat, or maybe it's the bullfights, either way, Arles makes me feel like grabbing castenets and stomping my feet. I'd stomp my way all across the city along Van Gogh's path until I stomped myself right out. 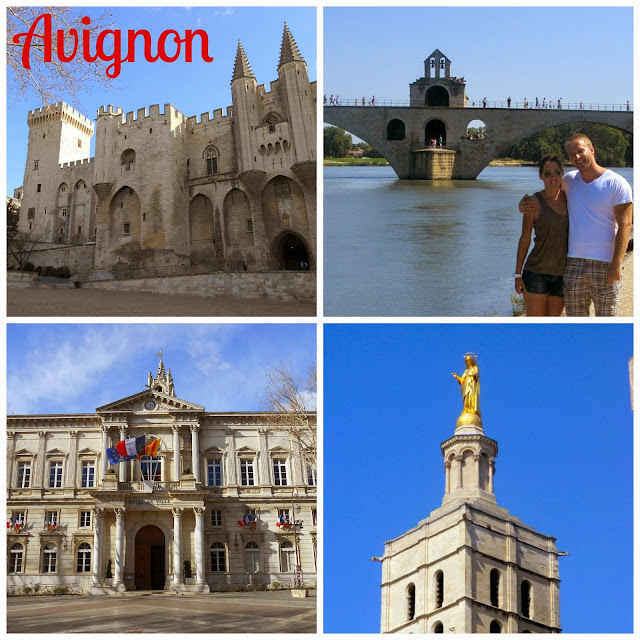 The only city in France that I've been to as much as Aix, is Avignon. Whereas Aix holds my heart, Avignon holds my soul, it grabbed me the first time I drove through the gate of the storied wall and sucked me in. The city palpitates with it's history beating with every step I take. Next weekend I'm going to a 3D light show inside Le Palais des Papes that tells the history of the city and I'm practically piddling in anticipation. 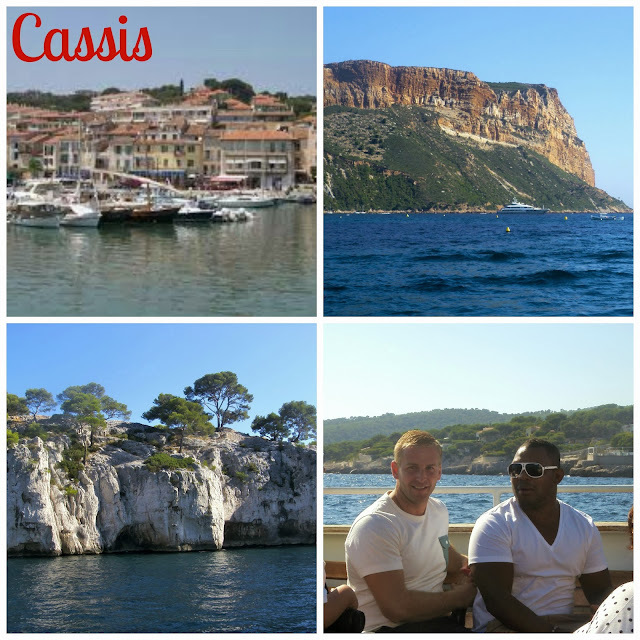 Ahhhh.... Cassis, my future Euromillions home. The sun, the sea, the views, the wine, the seafood... it's pure summer relaxation. In fact, I cannot let a summer (or late spring or early fall) pass without at least one trip to it's alluring shores. And bonus, one of my absolute favorite restaurants is there. As a wine lover like me, moving to France was like hitting pay dirt, and living only an hour and a half away from Châteauneuf-du-Pape was like flat out striking gold. I get to walk around this gorgeous place, stopping for a 'rest' in a quaint shop and given bits of delicious saucisson sec to nibble on and wine to try for FREE?! If I was ever going to be a hobo, I would be a Châteauneuf-du-Pape hobo. 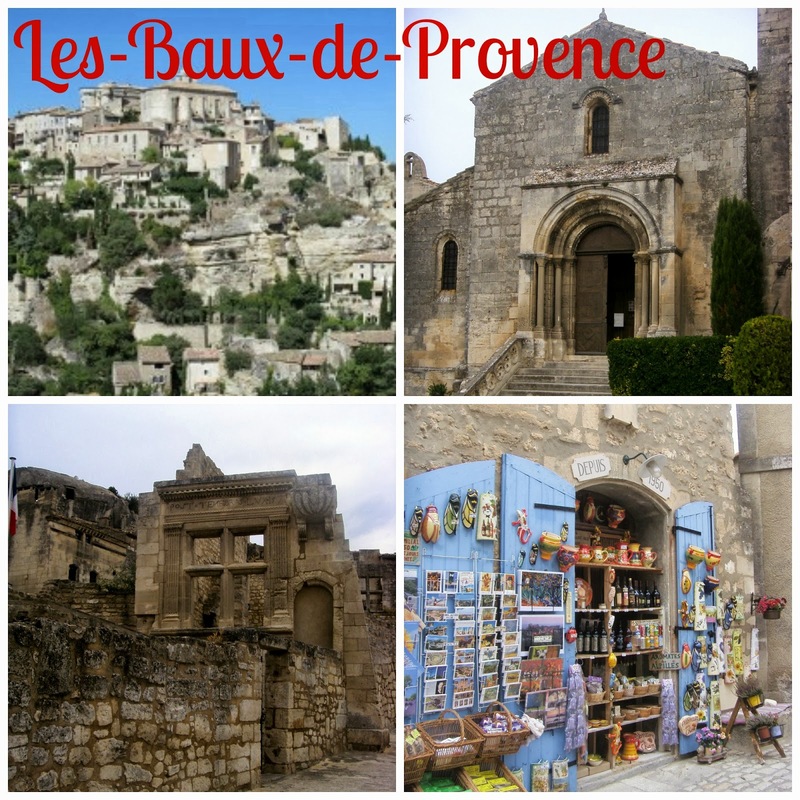 While being completely authentic, there is something faux about Les Baux. It's so pristine, so perfect, that it's almost too perfect. It's as if it's; Provence, brought to you by the Walt Disney Corporaton. That said, I still love it. It's impossible not to. With the exception of the brightly colored shop fronts, it is a village frozen in time, and walking along it's rocky, windy paths, it is easy to feel as if you've stepped back nine hundred years or so minus the plagues and the ickiness of course. Lyon to me, is all about food. Of course there is massive amounts of history to learn about while visiting as well (this is France of course, you can't escape the history, we're practically drowning in the stuff), but for me, it's purely about the food. When I go there I basically just stuff my face and drink wine so that probably explains why I love it so much. Marseille gets a bad rap. Even when my mother met Gregory for the first time she asked him if he was a criminal (he was born in Marseille) and I think she was only half joking. But crime aside, it's a dynamic place. I can't think of that many spots that tops the beauty of the view from Notre-Dame de la Garde, and the Basilica itself is spectacular. It has the Mediterranean, Bouillabaisse, The Count of Monte Cristo, and Julia Child lived here for a spell. Pretty good pedigree I'd say. And oh yeah, the French Connection, it's got that too. There is something cool about Saint-Rémy, something posh, but not in an intimidating way, in a subtle serene kind of way. If Saint-Rémy had a soundtrack, it would be jazz and I like jazz. There are a couple things to note about this one; 1) Monaco isn't a city, it's a country, so I should be saying Monte Carlo but I have a habit of always saying Monaco even if I mean Monte Carlo and old habits are hard to break so Monaco/ Monte Carlo, n'importe quoi, and 2) Monaco isn't in France, since it's it's own Principality but as it's so darn close, and everyone there speaks French, I include. Got it? Good. All I have to say about Monaco is this because it's the one reason I go back time and again; sitting outside the casino in Monte Carlo, people watching over a glass of Rosé is my happy place. And that's that. I just recently learned about Arles when we went to the Van Gogh museum in Amsterdam! If it's good enough for Van Gogh, then it's good enough for me! :o) I hope I get to see all of these places. Cassis looks incredible!! I just found your blog and I really like it, many interesting posts and witty tales. Have a lovely week! I need to visit all these. Especially Cassis- looks like my jam! Sun, sea, and wine- I'm there! They all look magnifique - but my top pick would be Cassis. How could you not fall in love with that coastline?!? 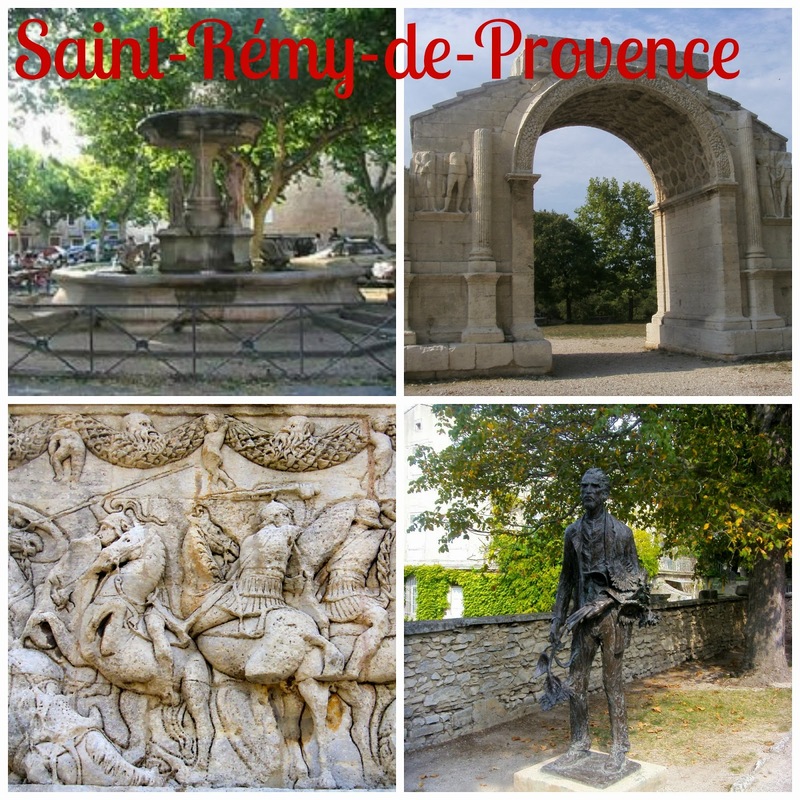 Sara, you have these spot on!....I'm so jealous you live so close to all these stunning places - particularly Avignon and Aix! 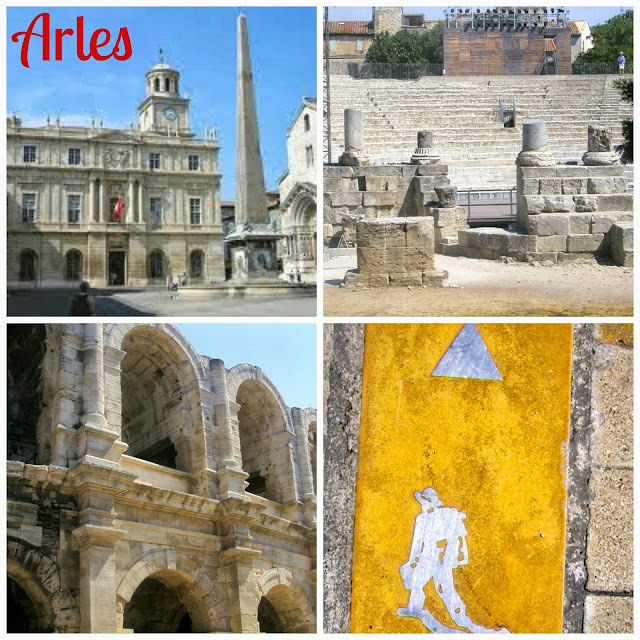 I loved Arles too and i'm so glad Cassis made your list - I have such great memories of all those places. Marseilles too - I'm agreed, it's a 'rough diamond' as we say - I mean that in the best way as I loved it there, so much going on! The only one I'd add in the South is Montpellier - I love that city and it's close to some amazing beaches. I have good memories of Riems in the north too - if you're looking for recommendations...and of course Paris, but that goes without saying. It's embarrassing to me that we've been here in France for 3.5 years, and of that list I've only been to Lyon. It seems like of all the places we've been, France is always last to be explored. We need to change that next year, and maybeeee it will be to Chat-de-Pape! PS, have you ever been to C-d-P on festival day when the fountain runs wine and the local mutts are legless? Oh yes! I too love Monaco - not only lived up to expectations but exceeded them. 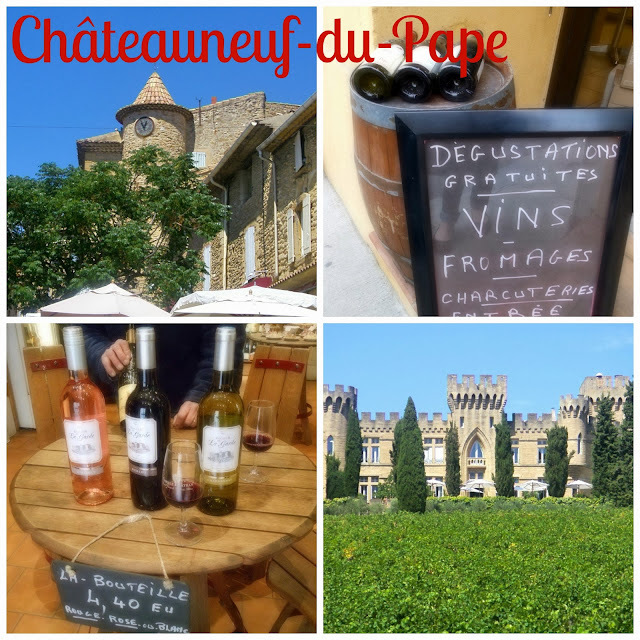 Chateauneuf du Pape was a MUST on our last French road trip and we loved it - amazing how many bottles of wine you can fit in a Mini Cooper you know. Lyon is on my LIST, so if I ever get back your way you can do the tour and I promise to show you Bordeaux as she is a grand old dame and worth a day of anyone's life - there is wine there too you know! I feel like a road trip through Provence now. 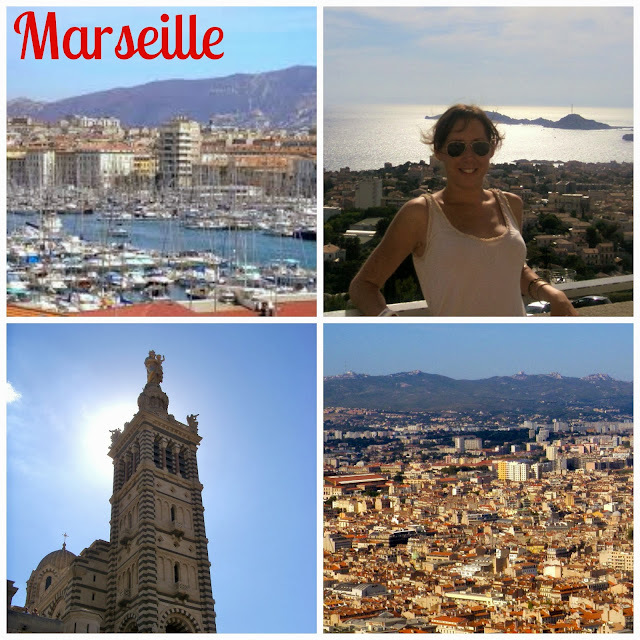 Marseille and Aix-en-Provence are some of my dream places to visit. My list would parallel your list except I don't really know Lyon despite one visit for a concert and I don't get Monte Carlo. Somehow, I don't get the attraction. I've only been to Monaco (which I pretty much hate) and Avignon (which is cool although I pretty much only saw the Palais des Papes and the bridge), but now I really want to visit the rest! Gotta do a tour of Provence one of these days! 2-10 All the others in any order ya like! But I would say that I suppose, as I've lived in Lyon for 16 years. I see that several of you mention food, and it's true there are many fine restaurants here, but three's so much more - the beautiful architecture, the best public transport system in the country, art museums that are the envy of any other city outside Paris, mainland Europe's largest park in an urban setting....the list is long. Oh, and if anyone happens to pop by, let me know and I'll take you out to eat in a 'bouchon'. Wiki it if you don't know what it means, but don't visit one unless you're prepared to put on a kilo or two in the process. 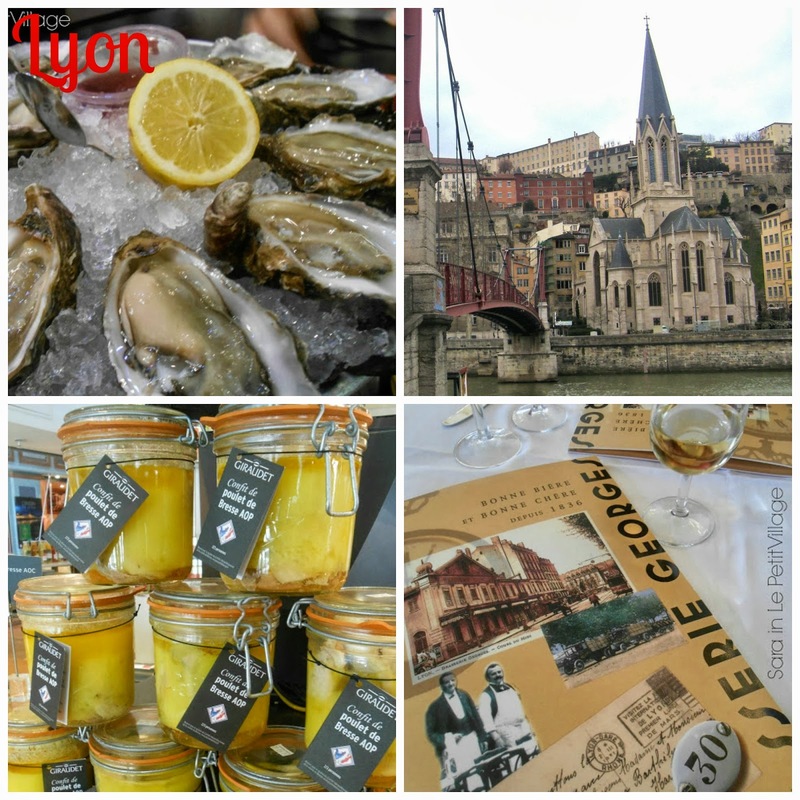 I love Lyon too - we generally go to a Paul Bocuse brasserie for our eats, though we're discovering bouchons too. I have a sneaking liking for Clermont Ferrand now...it's not beautiful but there's something about it. Monte Carlo is the ultimate people-watching place. I remember sitting at a pavement café far longer than I should have! Lyon has been on my list for a while. I've heard so much about the old quarter and the food. I need to get organised and plan a long weekend there! You are so fortunate to have all these places on your doorstep! You've really outdone yourself with this post! Gorgeous photos and my travel dreams are a spinnin'. 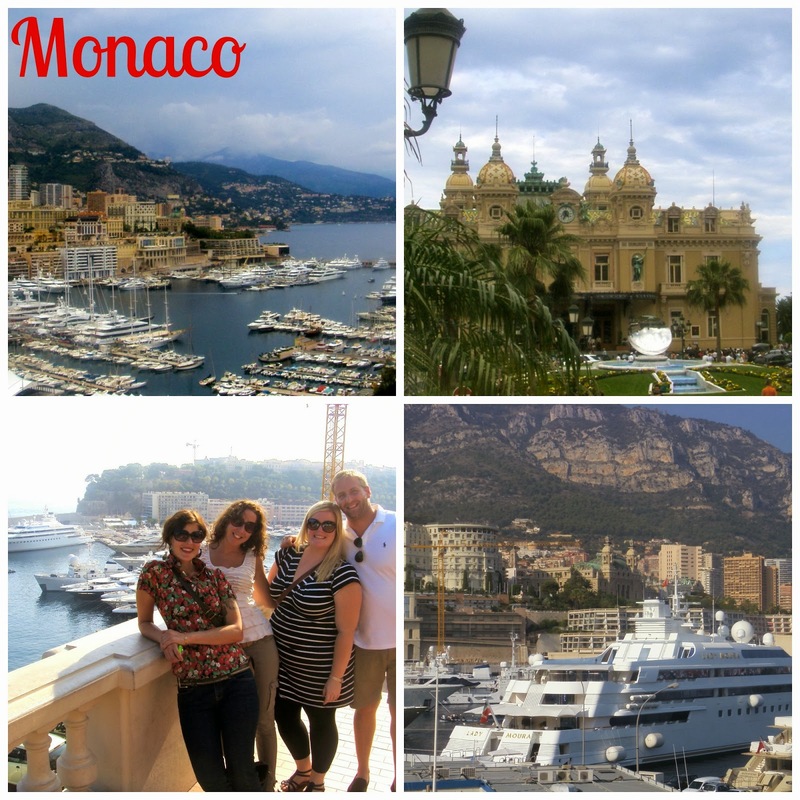 I've never been to Monte Carlo or Marseilles so maybe it's time to plan another trip to France! I'm excited to say that I've been to the rest and love your descriptions. Among my favorite, Arles and St. Remy (and I'd have to say Lyon since I was totally charmed by her on my last trip). Some very fine choices! These places really sum up the Midi. The first time I sat having a drink on the Cours Mirabeau on a summer evening, I could not believe the beauty all around. And out of all of these I've only been to Monaco. Clearly I have some France travels to plan. I'm going to go watch the travel channel now as I feel incredibly uncultured! I would love to do a tour through France! I have been to a couple of places there but there are so many great cities to see. Thanks for sharing this! You're so lucky ! to have seen all these places. I've only seen Paris and Monaco so far. Sara. friend. you need to get out of Provence more often! Thanks! We have many places to visit on that list. Chateauneuf-du-Pape, Marseille (I know - it's JUST around the corner from where we are but haven't visited yet) and Lyon were already there but there are others I'm scribbling down to make sure we get over there at some point soon. Chateauneuf.... nom nom nom..
We like all the same places although of all of them I really don't know Marseilles! I will be there for 4 short days on February 6th, I am so excited! !